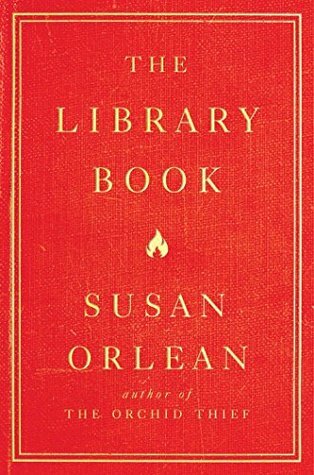 The bones of the story in The Library Book is centered around the biggest fire to ever hit a library that happened on April 29, 1986 at the Los Angeles Public Library. 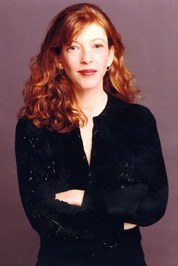 But along with learning what happened that day and the investigation afterward Susan Orlean has peppered this story with all kinds of facts about reading, libraries and books all throughout the book. Now, for me I was a tad disappointed that the story took such a meandering path around the actual fire and crime. I’m one that wants results rather quickly and wanted to know more about that fateful day with each trip somewhere else. But then again on the other hand I also began to appreciate just how much the author put into this book to cover so much other information. I think this may be a book that I will pick back up and browse through at a slower pace sometime to try to soak in more of the knowledge within but at the moment I’m rating this one at 3.5 stars simply because it’s not as an engaging read as a thriller or fantasy to me but I do think non-fiction lovers will appreciate this one. Well that may help my lack of incentive as of late. Life just has mowed me down and ran back over me. I know that feeling. 😦 Hope things are better now! Not too much but trying to push myself. I had an unexpected event of expecting especially medically but now I am grieving some little one only got to hold a short time but don’t worry about that nonsense. I will get over my grief! I am making it through. Things must go up from here! Thoughtful review, Carrie! I have this one coming up and think hopefully I’ll be ok because I like the other genres you listed. Thanks Jennifer! I kind of wished I had taken this one a lot more slowly and began working on it way before it was to be published. It’s just not a speed through it engaging type of read being non-fiction and full of tons of library/book facts to absorb. That’s good to know, Carrie. I’ll read it when I have more time to read slowly. Hmmm, there is a lot that I think I would love in this book. I am not a big non-fiction reader, but I have to agree with you about reading about something I love. It almost sounds like two books in one. Great review Carrie. Thanks Carla! I may have rated even higher had I taken my time with it, just seems like one I shouldn’t have put off until the last minute.